These Energized Semiprecious Clear Quartz Crystal amplifies prayers, healing, thoughts, wishes and positive visualizations. It works on every level to bring the body into balance and boosts the immune system. It is believed to supply positive energy and help dispel negative energy and also help children achieve better concentration ,focus to attain academic success. Amethyst is a powerful aid to creative thinking, spiritual awareness and healing. It is believed to ease stress, tension and depression and help combat insomnia. 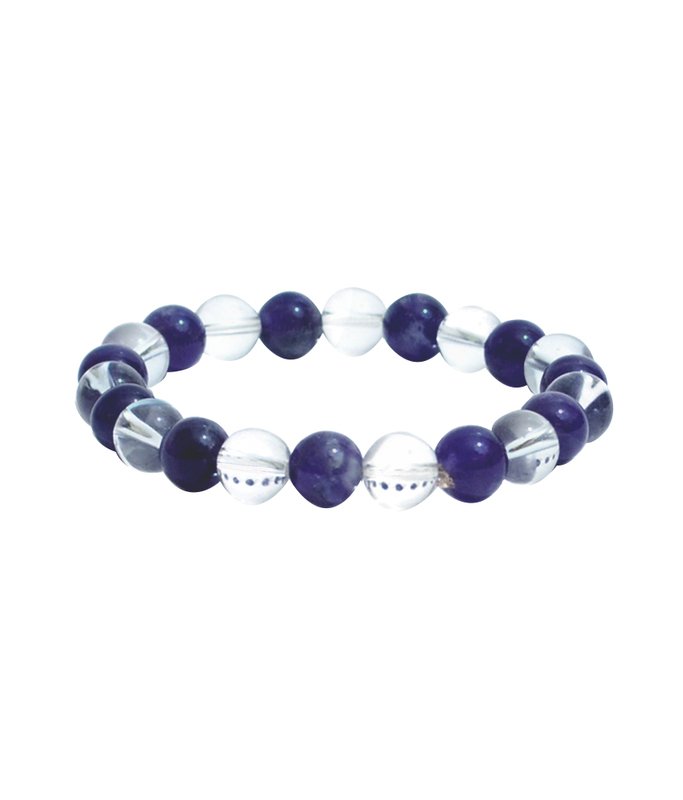 It has the power to help open third eye ,invokes spiritual awareness and awakening. Amethyst crystal is often used by those who are beginning Their spiritual awakening. It is used to access the higher dimension of the self through meditation. Do use for connecting with spirit guides and angels, great for meditation. Some like to place an amethyst on the third eye to focus the energy of this center. 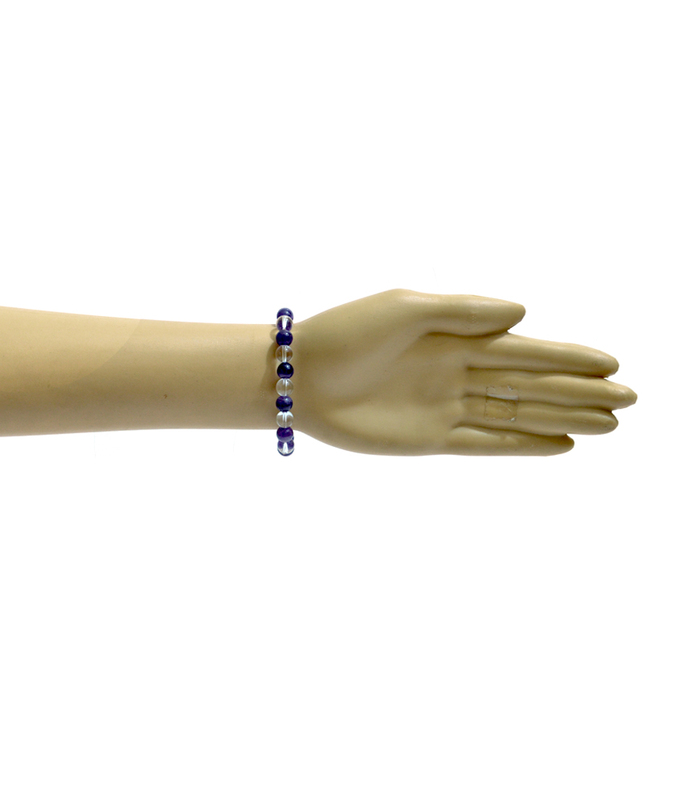 For physical healing you can also wear an amethyst band on wrist. Disclaimer: These Semi Precious stone/Beads are believed to bring about all the good things. We do not guarntee its success and are not responsible for any claims. Any person with a conditions requiring medical attension should consult a qualified practitioner or therapist. Product colour may slightly vary due to photographic lighting sources or your Screen settings.